Welcome to HookedAZ, Arizona's biggest fishing community. 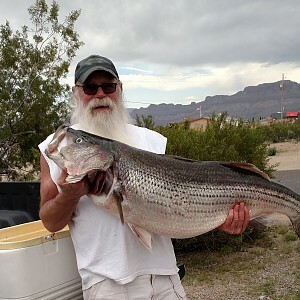 And the best source for fishing Arizona. Brand New Minn Kota Maxxum and Lowrance Fish Finders For Sale! Bass fisherman here, new to the walleye world. I know our walleye fisheries are limited but does anyone have any tips on how to catch them here? Any useful mobile apps for Arizona fishermen? 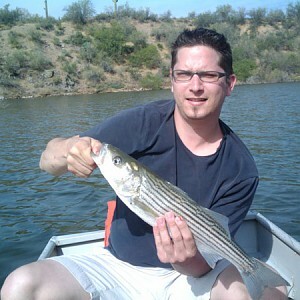 License required for catch and release at Saguaro lake? New to fishing here. Could anyone provide me with information on licenses? Also, any first time fishing tips would be greatly appreciated. 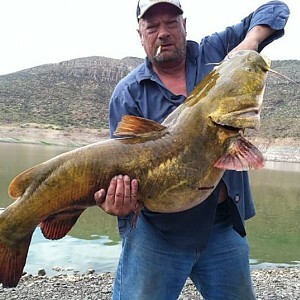 Best lake in AZ for walleye? What's the best place to go to catch a walleye in Arizona? I've seen a few lakes including Powell but catch rates are low. If you're following this forum, you'll want to read this article about the new AZ state record smallmouth caught at lake havasu. This was catch of the week in 2013. At San Carlos Lake. Caught this guy trolling a crank bait near Castle Creek.